When we lived in Tampa, I used to buy bootleg empanadas from an Argentinian in the parking lot of an Italian restaurant. 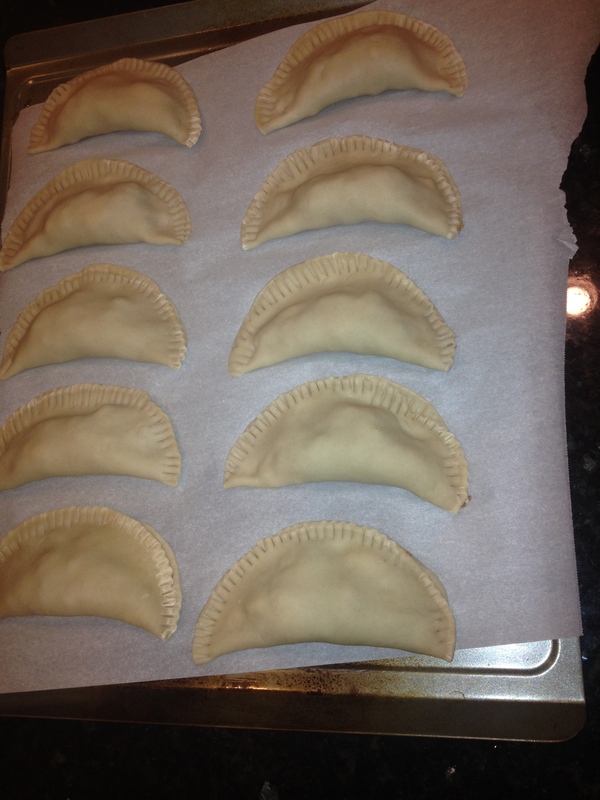 Now that we live in Nashville, I have to prepare my empanadas in my own kitchen. Which is probably more sanitary, but totally less interesting. The following recipe is not nearly as good as Arturo’s trunk goodies, but they are a pretty darn good replication. They aren’t the easiest nor the most authentic, but worth every minute over the stove. 1.) Brown ground beef in large skillet until no longer pink. Add onions, jalapeño, and garlic and cook until soft. 3.) When ready to assemble, place 1-2 tablespoons of filling into the center of a defrosted dough disc, and fold over to seal. Crimp edges like a pie so filling does not leak through during frying. Place stuffed empanadas on a cookie sheet until ready to fry. 4.) Heat oil to 350 degrees in a large, deep skillet. Fry a few at a time being careful not to over-crowd the pan. Fry for only 1-2 minutes on both sides being careful not to over-brown. They cook quite quickly. Drain on paper towels while cooking the next batch. 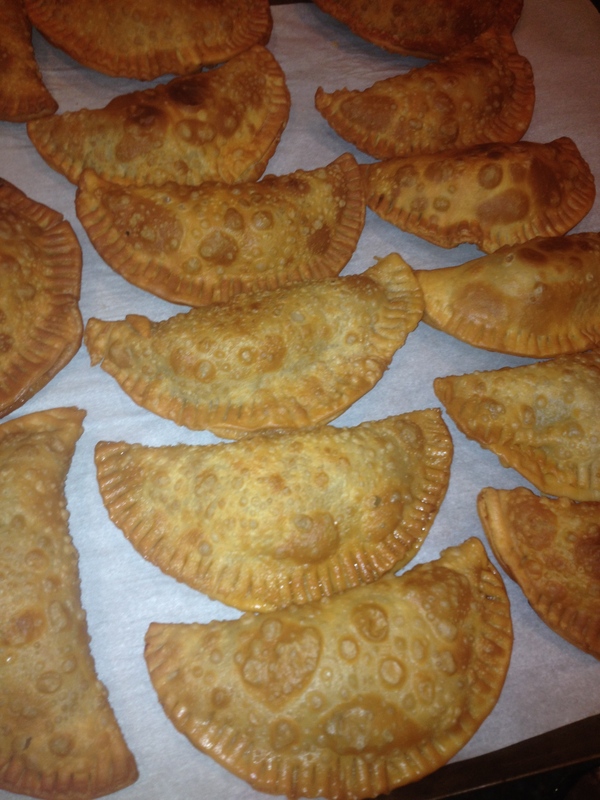 At this point, they are ready to eat, but if you want to do a couple of hours ahead of time, you can placed the cooked empanadas in a 350 oven for 5-10 minutes making sure not to get too browned or the filling will start to leak and get tough.